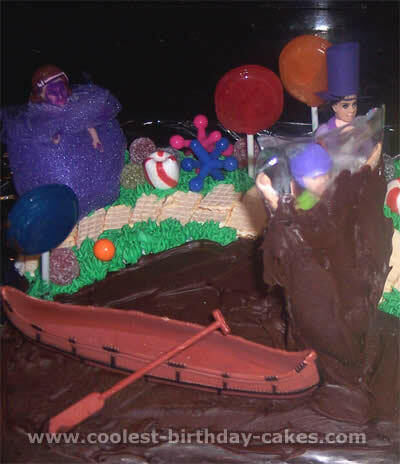 We celebrated Lucy’s 8th birthday with the " Willy Wonka and the Chocolate Factory" Theme. 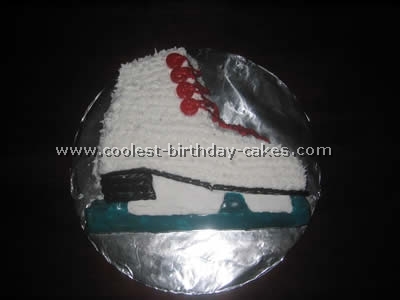 The cake was made ahead of time and then frozen until the big day. 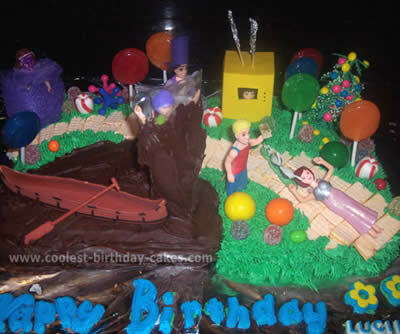 A sheet cake was frosted, making a chocolate river using chocolate frosting, and Polly Pockets were used as replicas for the characters. The boy inside the tube is in some plastic, which was partially frosted. Mike’s TV is made from construction paper, the Blueberry girl "Violet" has tulle netting around her body and then we colored her face blue/purple. The goose came from a farm animal set. The gomes are vintage cake toppings, which happened to be the hardest part of the cake (to locate them) they were purchased on eBay. The candies are all from a local store. 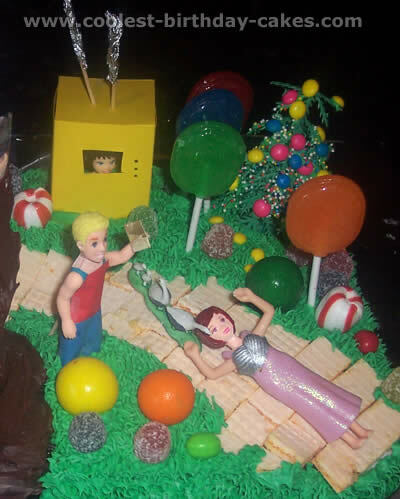 To make the candy tree we frosted a farm animal set tree and stuck candy to the tree then sprinkled some below to look like they had just fallen off. 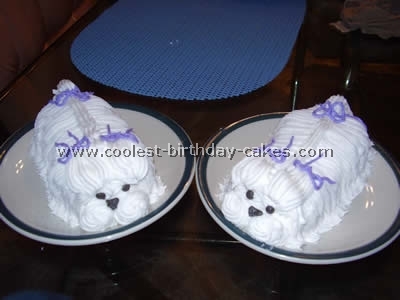 The cake is placed on a cookie sheet covered with foil, which has edible reading HAPPY BIRTHDAY LUCILLE. It was a huge hit, the kids loved it!